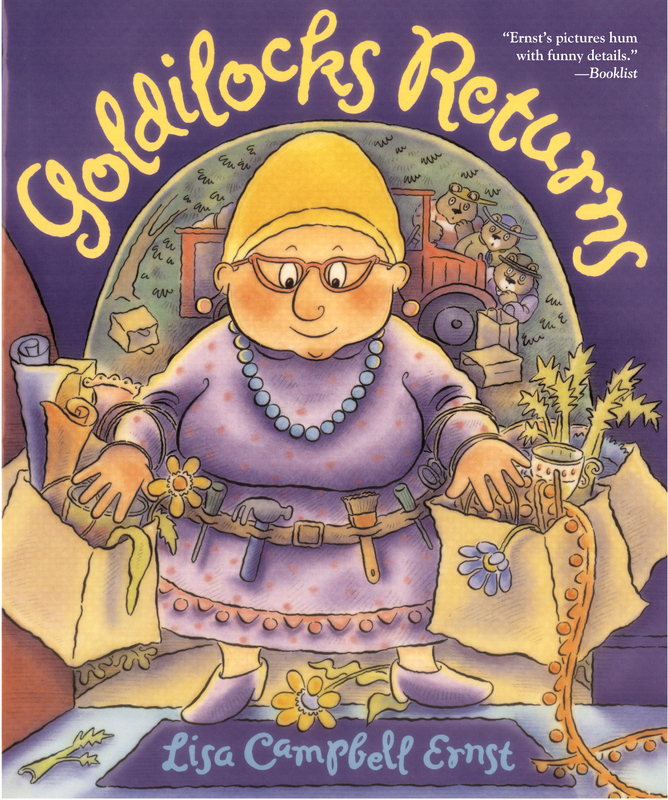 Ever since she snooped around the house of the three bears, Goldilocks (now Goldi) has been feeling guilty. She wants to do something nice for the bears. What if she stops by one day, replaces the icky porridge with Rutabega Breakfast Bars and all her favorite foods, fixes Baby Bear's broken chair, and cleans the house until it gleams? Perfect! When the bears return home, they'll hardly recognize their home! They'll LOVE it! Lisa Campbell Ernst has written and illustrated many popular children's books, including The Turn-Around, Upside-Down Alphabet Book; Hannah Mae O'Hannigan's Wild West Show; Goldilocks Returns, her own version of "Little Red Riding Hood"; and Stella Louella's Runaway Book. She lives in Kansas City, Missouri, with her husband, Lee, and their two daughters, Elizabeth and Allison.